Control B.J.! Since when? Doing the same thing over and over but expecting different results is an indication of insanity. 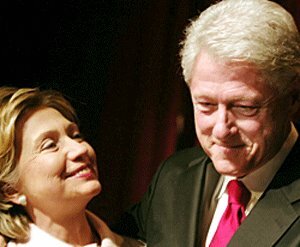 When Mrs. Clinton says she can control B.J., when she never has, is she sane? Do we need a delusional president with her finger on the nuclear button? No comment were provided by Gennifer Flowers, Juanita Broaddrick Hickey Kathleen Willey, Monica Lewinsky for that matter B.J. Clinton. Her deer caught in the headlight laugh.